It is the time of the year when most of your friends of marriageable age will be getting married. It is because of the good weather or the alignment of stars, you can’t say. But you as a graphic designer can definitely work on some great designs for the wedding and reception invitations. 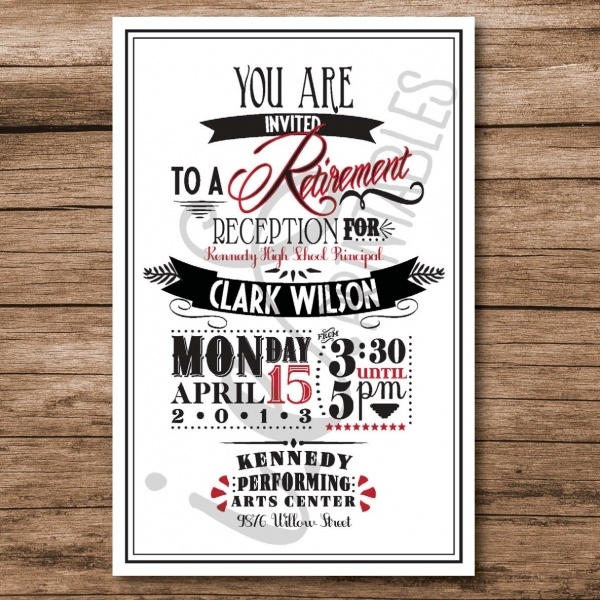 These Invitations are just like any other designs, like anniversary invitations. You can scroll through the list and find the design you think is most useful and either use it as a reference or as a mockup template for your design. If your friends love unconventional design styles like the wedding couple friends of the designer of this card, then you should just probably go ahead and download the attachment design by Nick Franchi. You may also see Birthday Invitations. 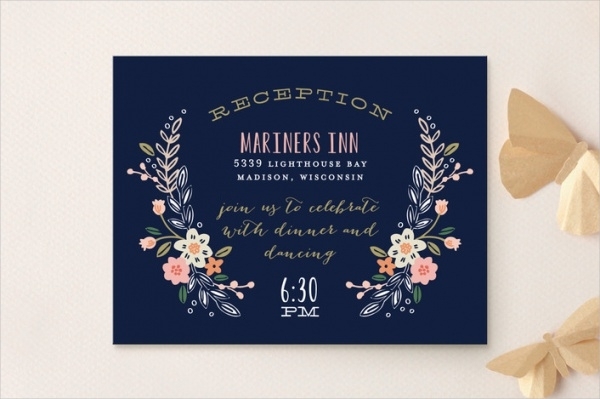 Add snowflakes and other ornamental patterns and artwork into your celebratory wedding reception invitation design just like this work by Lyndsay McKeown for a corporate reception invitation. 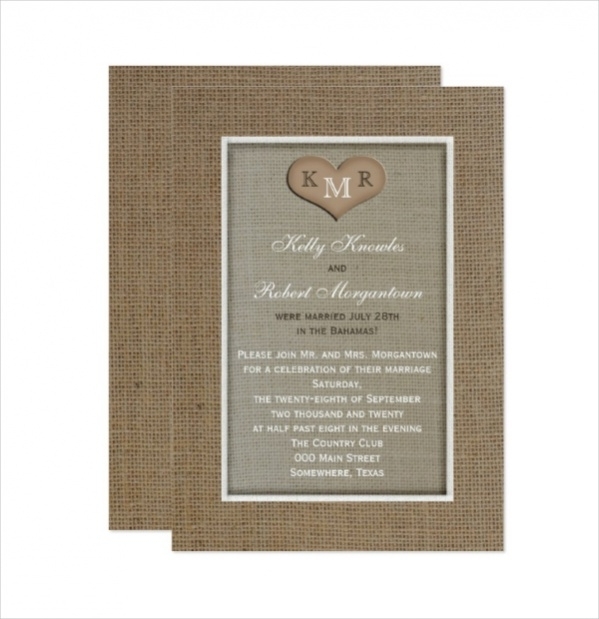 There are multiple designs for you to scroll through.You may also see Wedding Invitations. 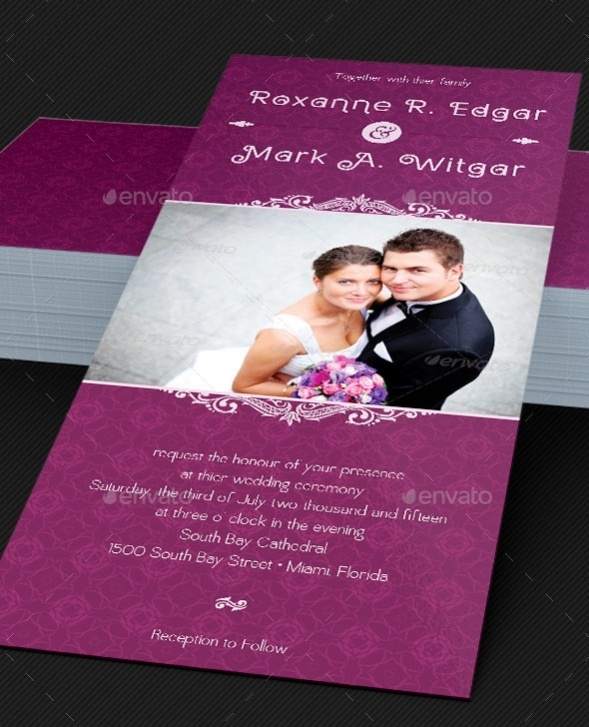 Now is the time to showcase this great premium design for a wedding card template set in a size of 4 x 9 inches. 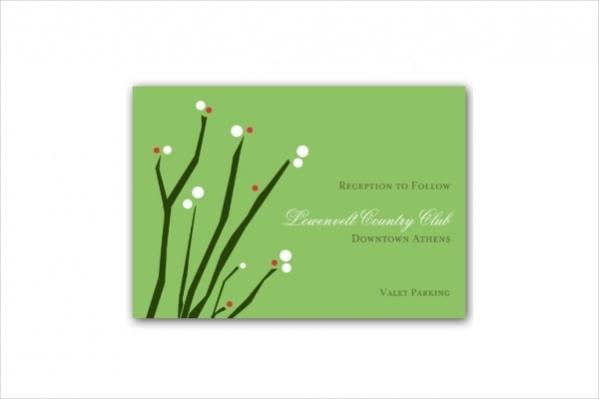 The design is available as a PSD invitation in a resolution of 300 dpi and print ready CMYK colors. This one is not for the wedding, but for the reception dinner party for the graduation. You can customize the design to the graduating person by placing their image in the invitation design. Check out this great reference design here. The choice of printing material is also very important because you would want to make sure your design theme matches with the final print. And in case you are having a post wedding reception party, here is a cool design reference for you. Ornamental elements really accentuate the quality of the design. Like here, you can see the use of vine patterns that forms the heart. This handmade design lets you edit the content on the go on the web itself before you download it. Sometimes just the simple text of inviting someone is enough. And that works especially well if it is a closed group reception invitation. But you need to be careful with your choice of typeface. Here is a design that is minimal and takes care of the typeface for you. 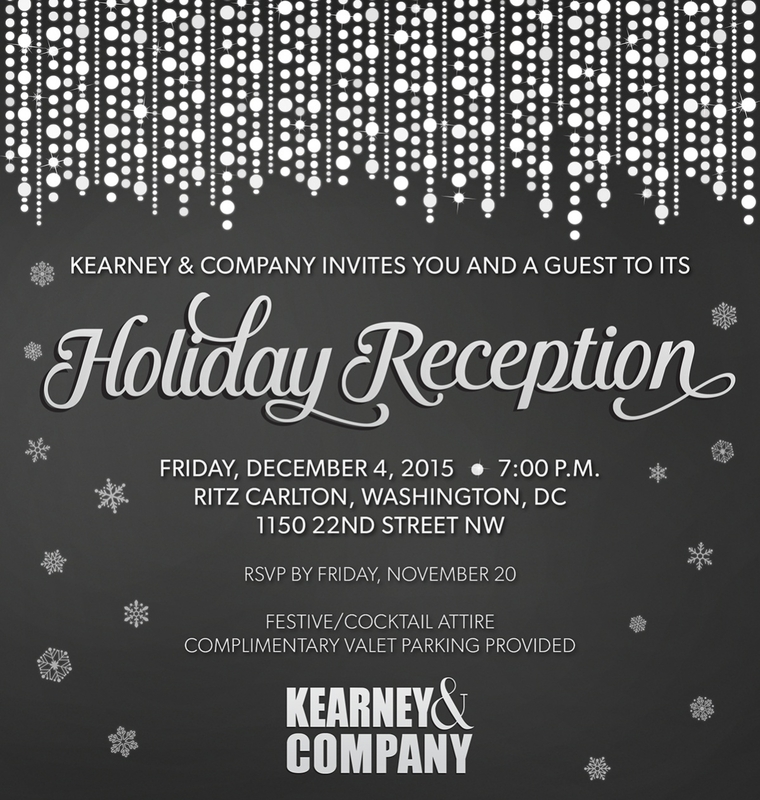 A law firm reception invitation is expected to be professional, elegant and filled with class. And this design by USA based designer Brandy Constantino is exactly that. 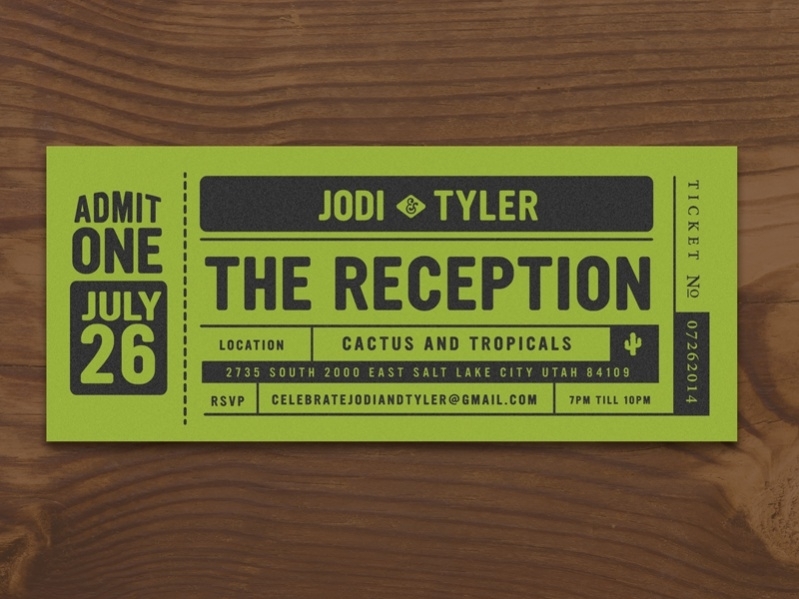 Check it out for a great design reference for your reception invitation. 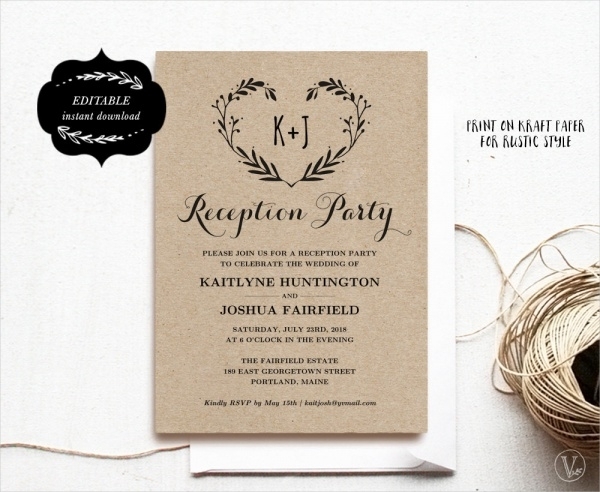 If you are a fan of simplicity and minimalism, then you will probably love this wedding invitation design. It just plays with the alignment of text, typeface and choice of colors for the same on a simple plain background. 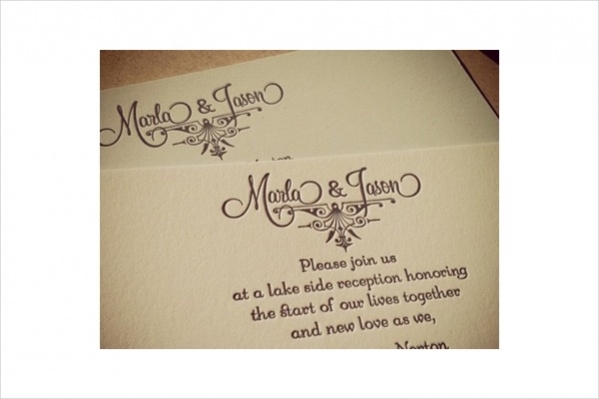 Your reception invitation doesn’t have to be the conventional rectangular shaped card. 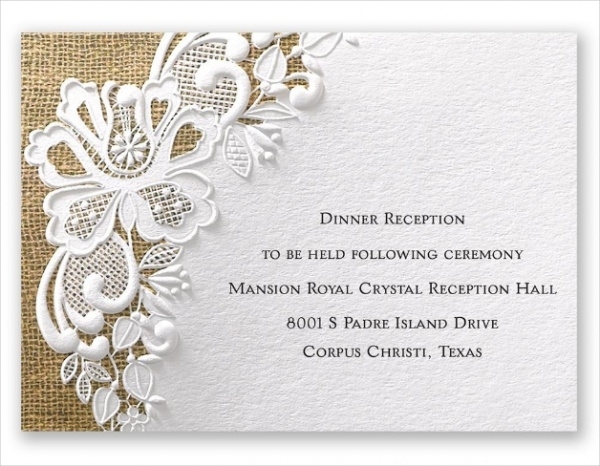 You can play around with the edges and give them an ornamental look like this reception invitation design. There are also other border designs for you to pick from. 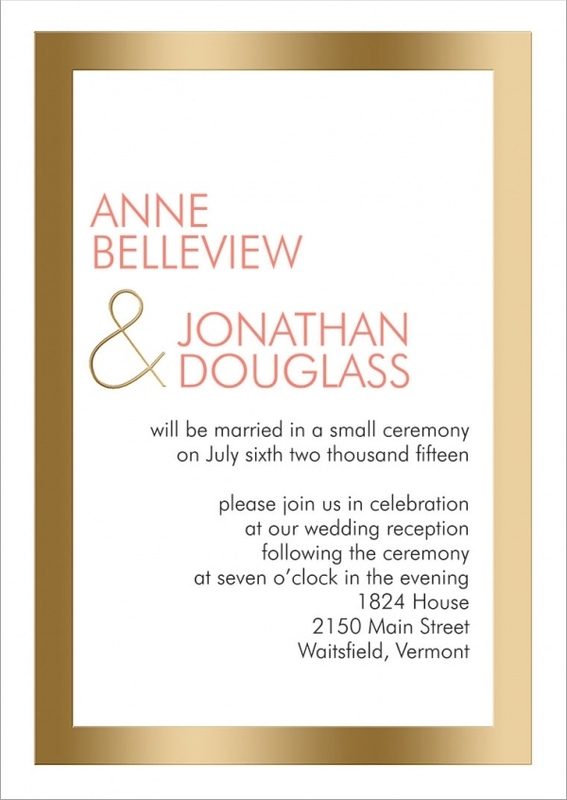 Check out this design by Marla Norton that was a letterpress ceremony and reception wedding invitation. The design has been printed on the amazing looking French paper speckle tone and you can check it out here. If there is going to be alcohol, then you can simply make it clear with the first word of the design like this one says “Cheers”. Click on the link below to find the customizable design which you will not need to download before editing. You may also see Bridal Shower Invitations. Retro stuff is something everyone loves. 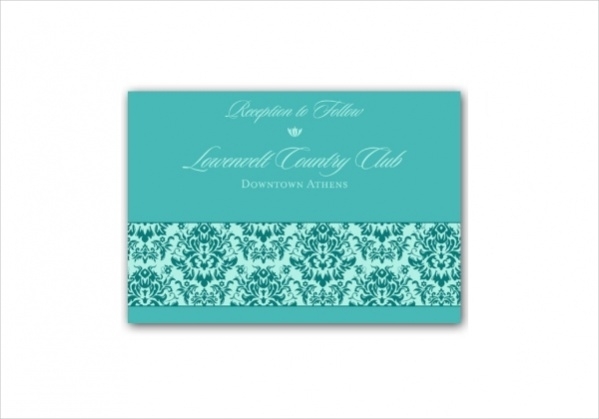 The wedding reception can have a theme to it and you can showcase that in your invitation design as well. Here, the designer has worked with multiple typefaces that sometimes work and sometimes doesn’t. Talking about unconventional designs, this is the one that is something probably you might not have seen before. This card is all about the artwork that has been placed with the choice of print material which probably was more work than the text it says. The starting one on the list is something you might see and go forward with as it has your favorite drink as well, wine. 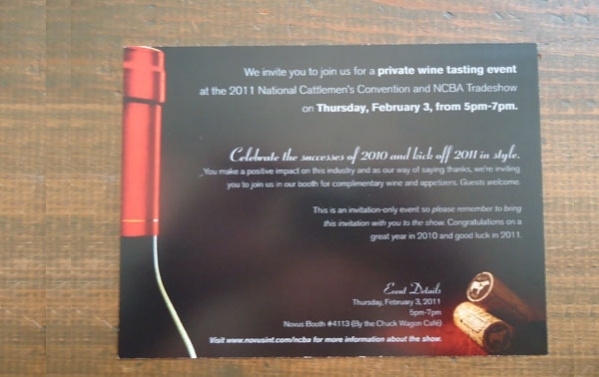 The design is for wine tasting event, but you can easily turn it into a reception invitation as well. 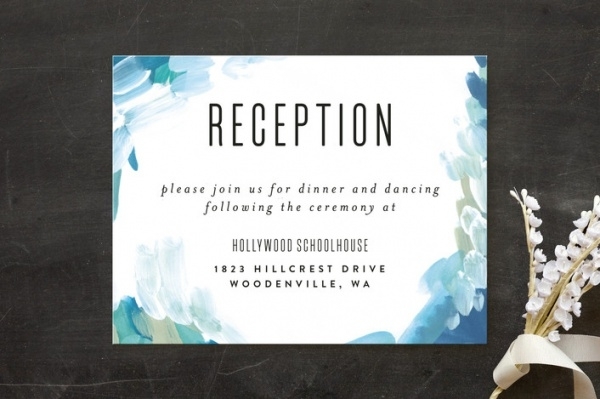 So go ahead and make sure the people who are going to be there for the reception party are invited in an elegant fashion and with a card design they have probably never seen before. The design can be for the client who is probably paying you, or you can be generous enough to showcase the design to your friend for who the reception party is being held, if not corporate. You may also see Graduation Invitations.